Who arrives on Capri cannot miss the opportunity to discover its wonders! 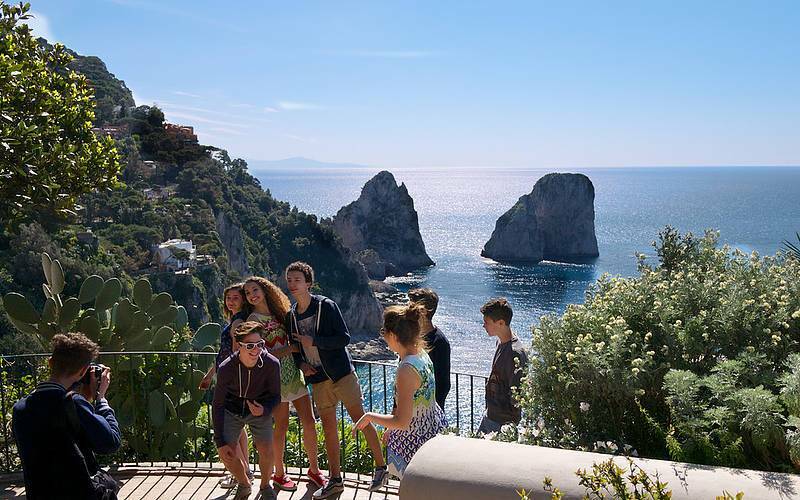 Live the island by sea on a tour on boat and enjoy a guided tour of Capri and Anacapri, walking through the alleys, small shops, cultural sites and scenic overlooks of the island. The tour begins at 10.00 am* from the meeting-point “HP Travel Office” at the port of Marina Grande in Capri, where you will meet your guide to start an amazing day together! From the port of Marina Grande you will sail to the discovery of the island of Capri by boat. You will enter the Marvellous Grotto, the White Grotto and the Green Grotto. Along the way you will admire the Natural Arch, the Villa of Curzio Malaparte, the Lighthouse of Punta Carena and the Faraglioni, passing through the famous Arch of Love. 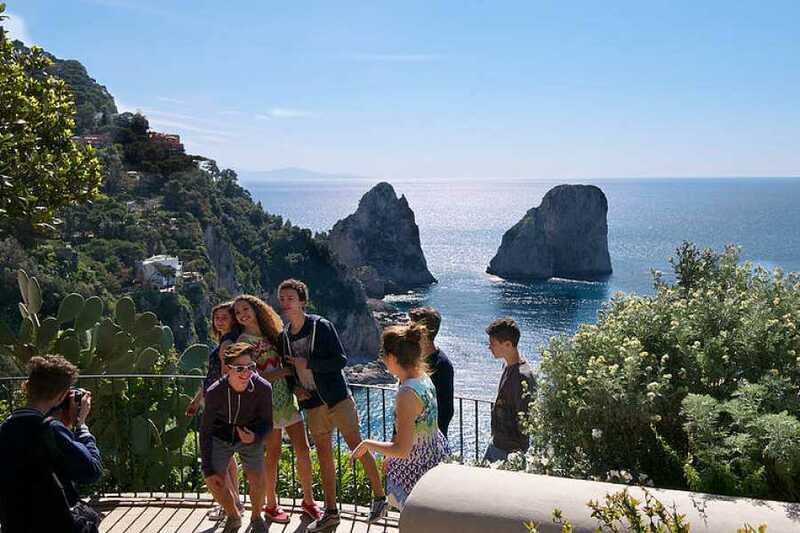 The guide will assist you during the discovery of the island, providing you all the information you need to get to know more about the beauties of Capri. At the end of the tour around the island, you will start the walking tour through the alleys of Capri, reaching the two main points of the island by a semi private bus. 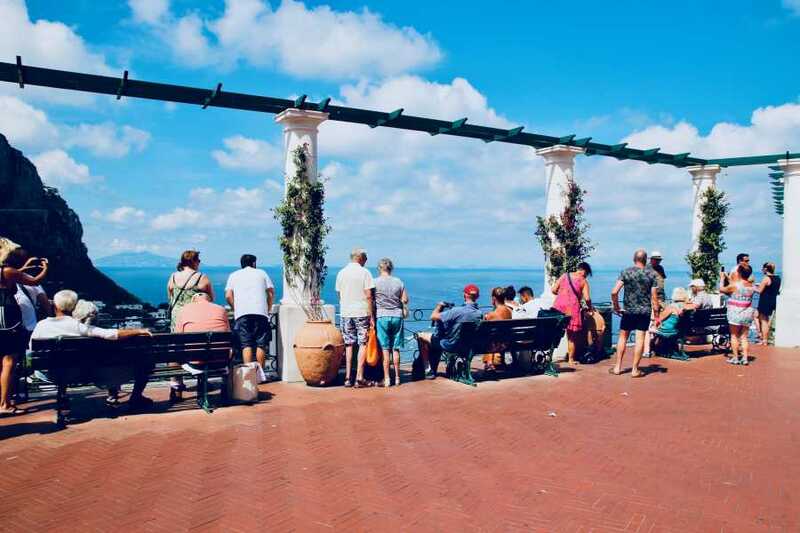 During the walking tour of Capri and Anacapri, you will visit the main attractions like “The Garden Of Augustus”, the famous “Villa San Michele” and enjoy the view from the Mount Solaro. You will stop for lunch in a typical restaurant of the island. Visiting the typical shops, you can taste the famous limoncello. You will also have free time for shopping. Your tour will end in the afternoon at the starting location. *If you want to make just the walking tour to Capri and Anacapri, the meeting point is at the “HP Travel Office” at 11.00 am, where you will meet your guide and join the rest group.